On a Tuesday afternoon, I find myself clinging to a wall four meters off the ground, unsure how to get back down. “Push off the wall and fall on to your back!” the instructor yells at me. Four meters suddenly seems a lot higher than it did when I was on the ground and I am reluctant to release my hands from the climbing holds. Getting up was the easy part, getting down is the challenge. Spread out on a wall in a position common only in a game of Twister I push back and land on the crash mat on my back, my heart pounding in my chest and adrenaline coursing through my body. I think to myself, “What have I gotten myself into?” The answer to that is research. 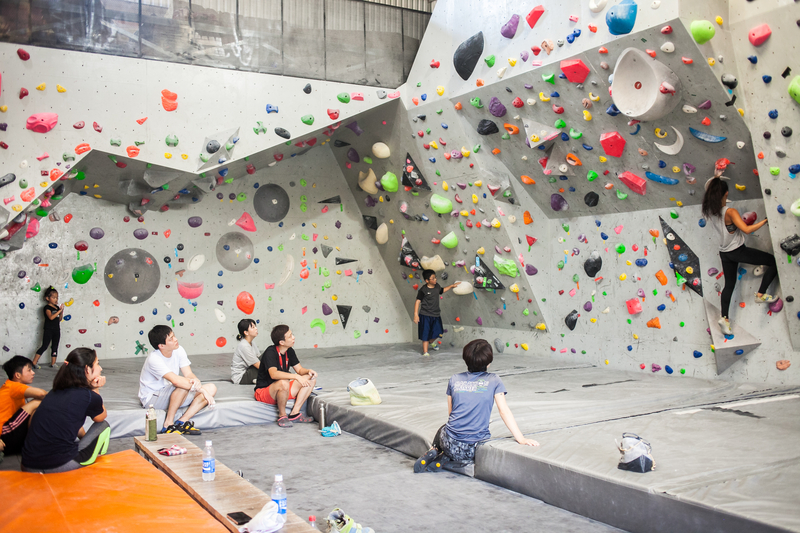 To find out why people, both locals and expats, are falling in love with bouldering and see if it lives up to the hype. 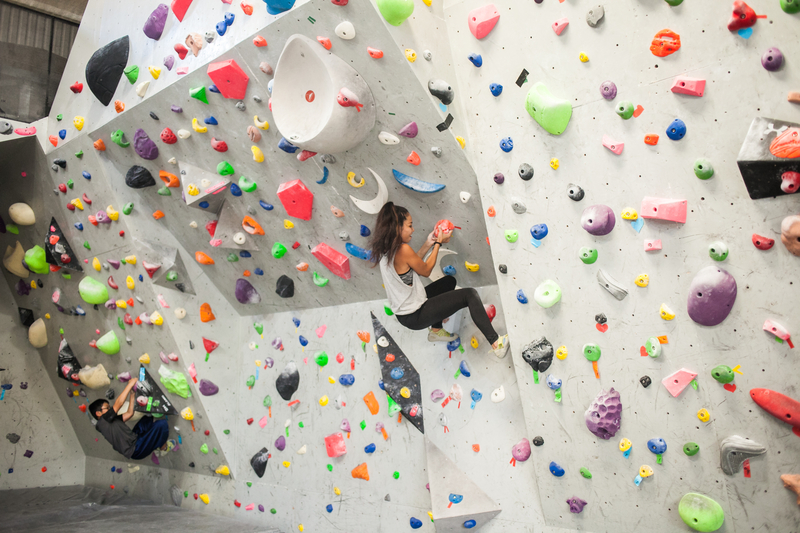 Bouldering is rock climbing stripped down, leaving the harnesses and ropes behind to climb walls no more than five meters high with just your hands and feet. Although it may seem like the easier option, it’s not. 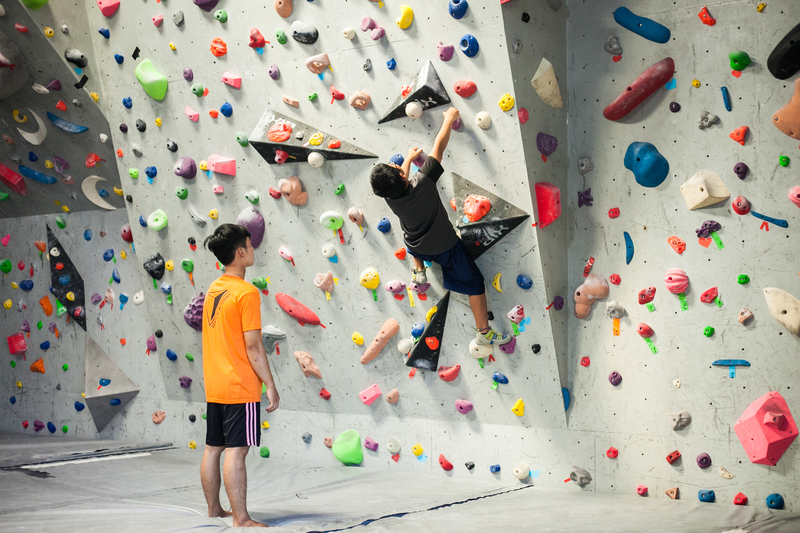 Bouldering involves using your finger tips and toes to scale a wall using hand- and footholds of varying sizes, some of which are no more than tiny bumps. Occasionally, the wall tilts forward to create an overhang and sometimes the wall is essentially a roof, which only people who channel their inner Spider-Man can complete. Climbing next to me are three Vietnamese guys taking it in turns to climb the overhang wall. They’re laughing and helping each other out, using a laser pointer to show each other where to position their hand or foot next. When things get tricky the instructor steps in and shows them how to complete the route. It’s hard to tell that they are beginners; they all look so relaxed and seem to have learned a lot quickly. I arrive at Vertical Academy – Climbing Gym (789D So 1 Bình An, D2) to meet Thuc the owner, a friendly woman who has been climbing for five years. 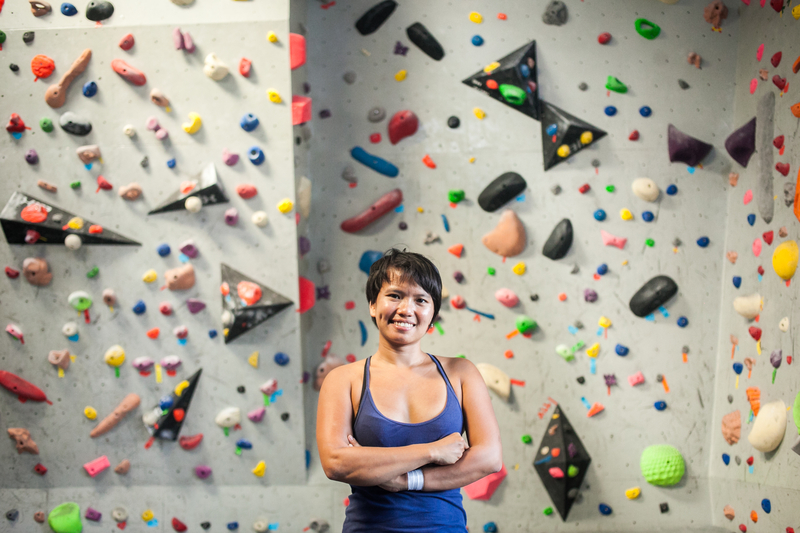 Thuc had dreams of being an architect since she was little but while at university she found a climbing center and quickly became hooked on the sport. 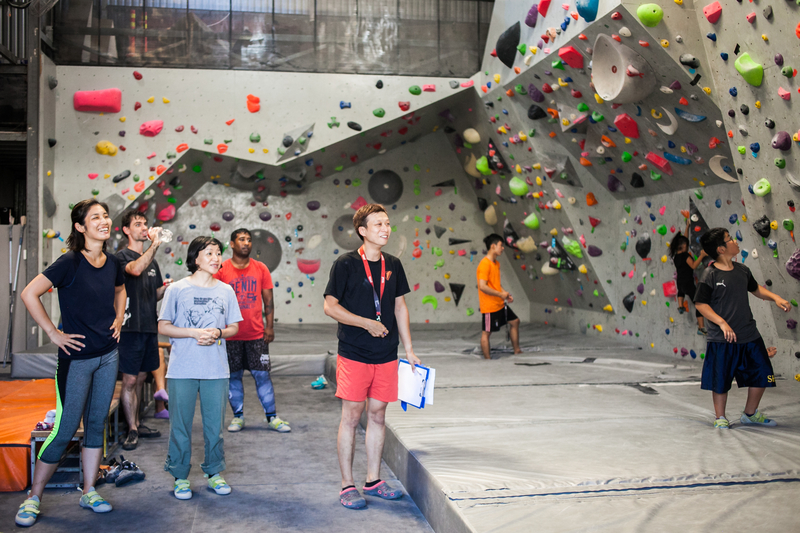 Thuc began her career in bouldering in 2015 when Vertical Academy first opened. She loved the community the gym created and wanted to get involved in the business. She trained to be part of the team and soon became a manager. Thuc took over the business in 2017 when Vertical Academy moved locations. For a Vietnamese person, it’s not easy to pursue a career in sport. Her family and friends didn’t understand why she wanted to work in a sport and not follow her dream of being a successful architect. “In Vietnamese society they don’t consider sport as important as school,” she explains. Thuc’s parents now approve of her choice and are supportive, although they still struggle to understand it. To really get into bouldering “it takes time for you to love it. You need to try it two or three times to know the beauty of the movement,” says Thuc. It takes practice and patience to be as graceful as the experts and you need to work on balance, flexibility and strength. She assures me that people soon become hooked and quickly improve. Although slightly terrifying at first, I can completely understand the hype around bouldering.